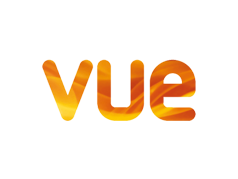 Vue Entertainment is part of Vue International – one of the world’s leading cinema operators, managing the most respected brands in major European markets and Taiwan, spanning ten countries, 211 sites, and 1,875 screens. Committed to continued growth and development of its premium entertainment ‘big screen’ experience, Vue delivers the best choice of content, combined with the best technology in the best environment. Vue wanted to strengthen its online standing by adding value to the overall user experience, over and above being an online authority for all things cinema. Our data analysis determined that online engagement with Vue plateaued between big film releases and our aim was to increase awareness of and engagement with the brand at different stages of the user journey. Edit suggested creating unique copy for these listings, tying in with Google’s best practice guidelines. This meant uploading listings well in advance of releases to build authority and including key search terms within the content. Another action included rewriting press releases and reworking descriptions of films from studios to avoid any duplicate content issues. The work has delivered a 46% increase in visibility for Vue alone, but we’ve also created an 8,000-point visibility gap between Vue and their closest UK competitor-Odeon Cinemas which SearchMetrics values at £546,000. This has impacted Vue’s commercial growth showing an increase in transaction up by 230% and a 300% improvement in revenue.